Fish has a knack for inventing. His annoying neighbor, Olympia, has a knack for messing things up. 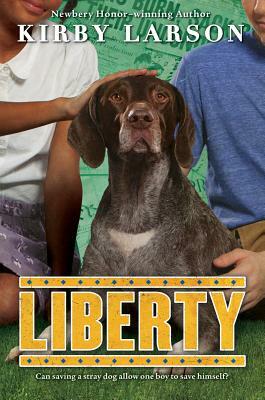 But when his latest invention leads Fish to Liberty, a beautiful stray dog who needs a home, he and Olympia work together to rescue her. However, a friendship that crosses racial lines is not the norm in 1940s New Orleans. But at the Higgins boatyard, where the boats that just might save the Allied forces during World War II are built, the wartime workforce is integrated and includes women and the disabled. Fish, who suffered from polio and whose dad is away fighting in Europe, looks up to Mr. Higgins, and he's thrilled when one of his inventions helps Mr. Higgins's engineers unlock the mechanics of the landing crafts. Mr. Higgins inspires him to be bold and brave. As Fish enlists the help of unexpected friends and allies to save Liberty, he finds his perceptions of the world -- of race and war, family and friendship -- transformed.